Look at the unbelievable supplication they have made, called "The supplication of the Two Idols of Quraysh", by two idols of the Qurayish, they mean Abu bakr and Umar radi allahu anhum. But yet, wenn you ask them, they will tell you they don´t make takfir on the Companions. Well WHAT IS THIS I ASK? "O' Allah, sal ala Muhamed wa ala aal Muhamed and curse the two idols of Quraysh (Abu Bakr and Omar), its (Quraysh's) two sorcerers, its two tyrants, its two liars, and their two daughters (Aysha and Hafsah) who (Abu Bakr and Omar) disagreed with your order, denied your revelation, rejected your goodness, disobeyed your messenger, altered your religion, tampered (harafa) with your Book (Al-Quran), loved your enemy, rejected your lovers, suspended your verdicts, invalidated your orders, did not believe in your proves, antagonized your lovers, patronized your foes, ruined your country, and corrupted your slaves, O' Allah curse them both, their followers, their lovers, their people, their adherents, their partisans, their disciples ............."
That was the Supplication of the Two idols of Quraysh, who the shia bestowed a great importance on it and the shia scholars consider it as a valid supplication. 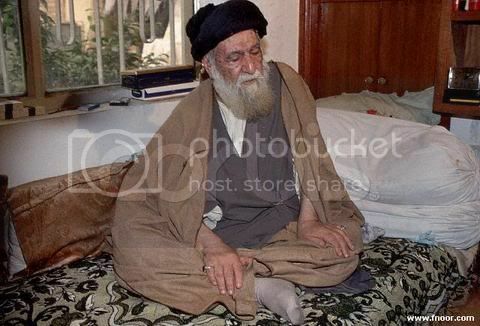 The shia scholars who mentioned that supplication in their books are many, they are not limited to the following, but just as an example: Al-Kaf'ami, Al-Kashani, Al-Nouri Al-Tubrisi, Asadallah Al-Haeiri, Murtada Hussain, Mandhoor Hussain, Al-Karkey, Al-damad Al-Hussaini, Al-Majlisi, Al-Tasaturi, Abu Al-Hassan Al-Amily, Abdullah Shubbar, Al-Haeiri, Mirza Habeeballah and many many more. 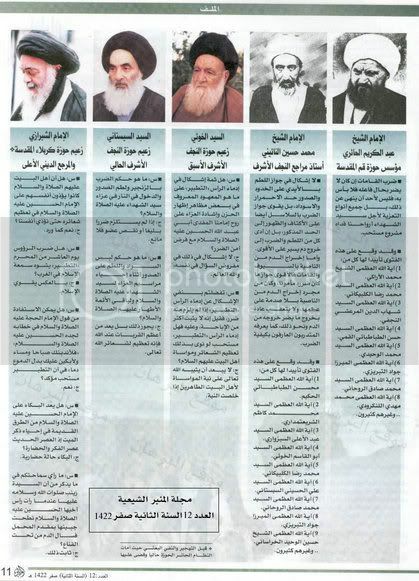 They are all Ayatuallah, who has the highest rank in shia clergy. Shee`aa madness again goes high as a worldly well-known Shee`aa scholar answers this questioner, saying it is ok to believe Ali radi allahu anhu is no less than Allaah. Let's read the question and see how he answers it! "Q#325: There is this religious group that is called "Ali-Allaahiyya" they believe that Ali is not Allaah, BUT ALSO is NOT LESS than Allaah, so what is your openion regarding their beliefs? Answer: If they are saying Ali is not Allaah, then they are not Mushriks"!! I wonder, if a Ali radi Allahu anhu is no less than Allaah, doesn't that make him another God, who only has a different name? .. According to such belief, Ali was not even a creation, for he is no less than Allaah! 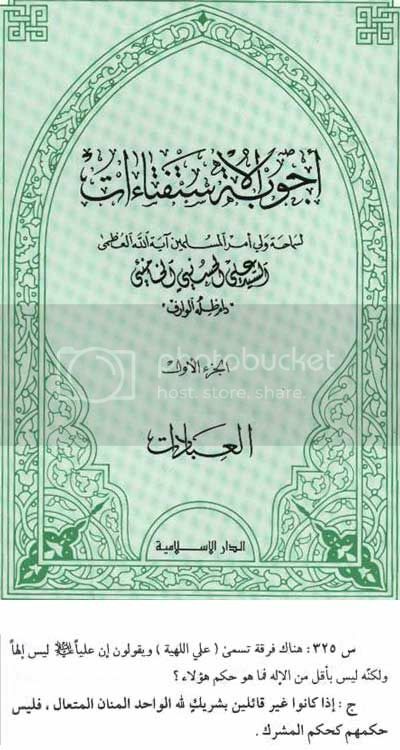 Let's read what Ali said according to this "big shee´aa scholar"..
".. And I chased him [meaning Shaytaan, Eblees] and ran after him until I caught him and then I laid him down and sat on his chest!! 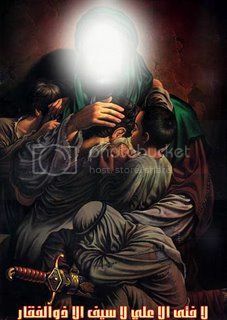 and put my hands on his throat to kill him, and when I did, he said to me: -Don't, Abal Hassan [Ali], as I am supposed to be let alive until the day of judgement. And I swear by Allah O' Ali that I love you- then I smiled and let him free"!! Obviously, they believe he was really stupid. Look at yet another ridiculous "Hadeeth" from Al Kafi, H 641, Ch. 40, h 7. Ali ibn Ibrahim has narrated from his father from ibn abu ‘Umayr from ‘Umar ibn Udhayna from Fudayl ibn Yasar, Burayd ibn Mu‘wiya and Zurarah who have said that ‘Abdallah ibn ‘Abd al-Malik said the following to abu ‘Abdallah (a.s.), "The Zaydi sect and al-Mu‘tazali group circle around Muhammad ibn ‘Abdallah. Does he have any authority?" The Imam (a.s.) said, "I swear by Allah that with me there are two books in which there is the name of every prophet and the name of every king that would rule on earth. 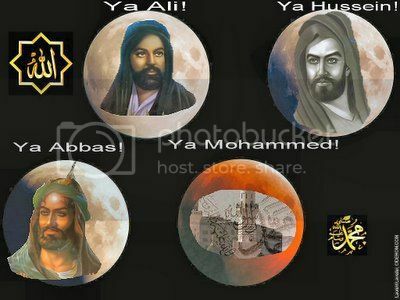 No, I swear by Allah, the name of Muhammad ibn ‘Abdallah is not in the list as one of them." The Narration is saying, that Muhammad ibn Abdullah Sallallahu alayhi wa sallam, is not mentioned as one of the prophets. Astaghfirullah! A Shee´aa Shaikh Ok´s Adultery Openly to a Questioner..
"997: What is the ruling on a man "marrying" a lady without witnesses or making sure she is not married, is it disliked? Answer: No, rather, "marry" her without witnesses and without making sure of anything." A Shiaa scholar uses no Taqiyya and says when we say Nasibies we mean Sunnies. He says, in three different places..
"..And there is no question about the term Nasibies being standing for those who are following the Sunna"
A Famous Shee´aa Poem that Shows Ali Having Many of Allah's Qualities and Attributes. Look how he speaks to Ali, as if Ali is Allah and see what is he saying to Ali!.. "You are the one who knows what is in our hearts, as you are the one who will bring us out of our graves and will then Judge us in the day of judgment. And you are the all-Hearer, the all-Seer and you are the one able to do all things. Without you no star would have moved, nor would any Galaxy spin. You know about all that is created, and without you Muusaa would never talk.."
"..and all that existed and all that exists, and the prophets and the messengers, and the Pen and the Lawh (The Preserved Tablet in Heaven) and all else are nothing but Your Slaves!!" then he says: "O' Aba Hassan [Ali] O' you who is directing ALL that -- EXISTS-- I Al Mizyady am sure that you will be there for me if I need you, how could you turm away who seeks your protection?!!" So Ali radi allahu anhu is the supervisor over paradise and hell?? Another incredible "hadeeth" from the Shee´aa. Read for yourself. 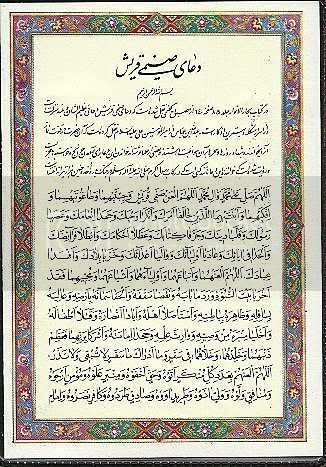 This is from AL Kafi, vol 1, p 198, kitabul Hujja, bab "Anna aimmatul arkanul ard"
Amir al-Mu’minin Ali (a.s.) has said, "I am the supervisor for Allah over Paradise and Hell. No one would go either one without my supervision. I am the greatest criterion and the Imam for those after me the provider of relief for those before me. 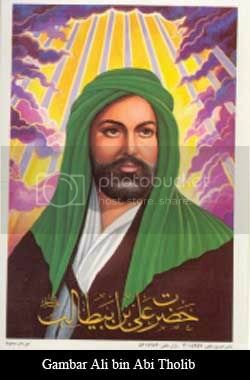 No one is permitted to be ahead of me except Ahmad (s.a.). I and he are on the same path except that he is called Ahmed (the most praiseworthy). I have been given six things. I have been the knowledge of deaths, that of the sufferings, that of the wills and the clear speech. That I have been give the power to attack the enemy, the power subdue the adversary, that I am the owner of the staff and Maysam and the being that would speak to people." 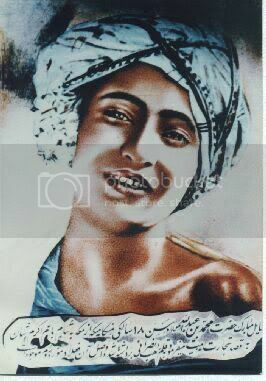 We all know, Ali radi allahu anhu, NEVER uttered these words. 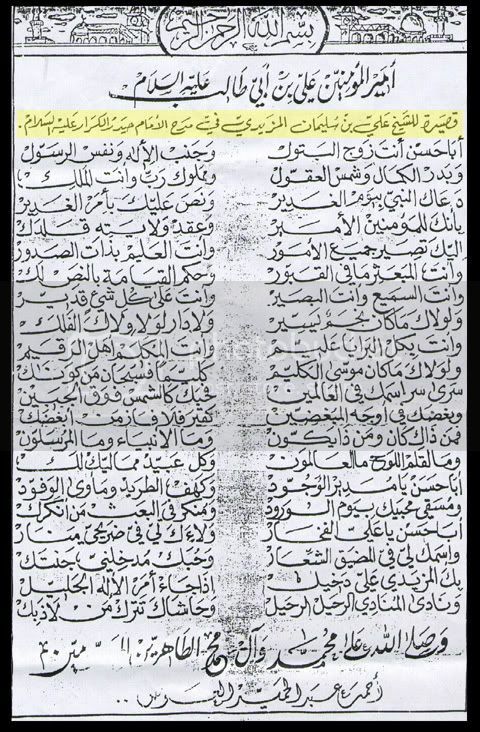 In this scan, you can read that the "great" Shee´aa scholar Nuri At-tabrassi, is saying that some of Allah´s verses reach the state of being "silly", thus mocking the signs of Allah, in the Qur´aan. and this is the Christians doing it. Pretty similar, don´t you think? When the Shee´aa pray, they prostrate their heads on a clay stone called "Turba", this clay is usually from the ground of one the Imaam´s shrines. Notice that in Islam, we must prostrate with our forehead touching the ground, but also the nose. With this silly stone,they are not even prostrating right. Khomeni´s Tomb or Shaytaan´s.. I can´t tell. 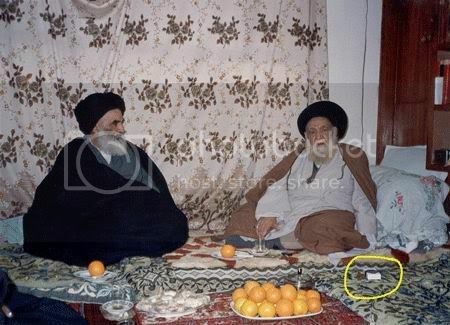 This is the tomb of Khomeni. 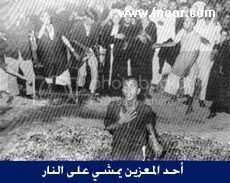 Once again, the prophet sallahu alayhi wa salaam said, don´t make the graves a place of worship. This is the type of garbage they play on the roofs of a Masjid in Mashad, Iran. This Iranian powerlifter, supplicates to the Hidden Imaam, before attempting to lift the weight. Well, it didn´t help. 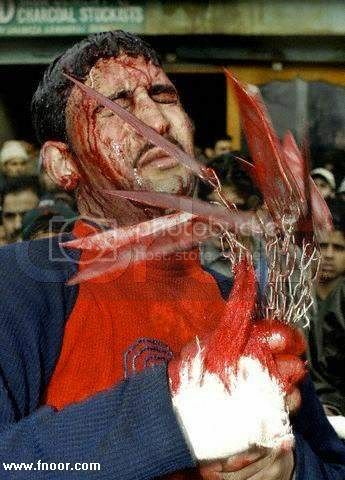 May Allah break the person´s hands, and take his eyesight, for making this picture. 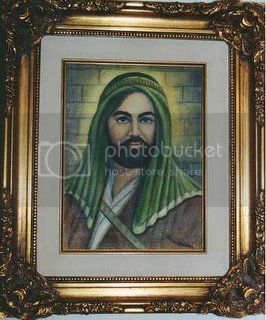 This is "supposed" to be Muhammad Sallallahu alayhi wa sallam. 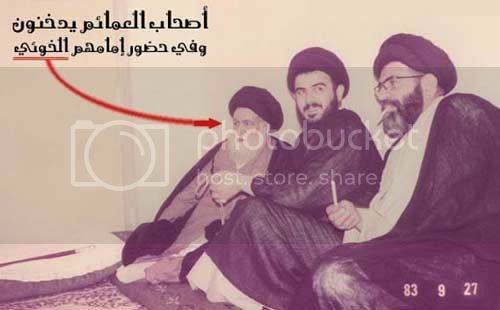 What´s so funny to the president of Iran, here seen in the brown cloak. Just bury the guy and get it over with, are they enjoying this sight? 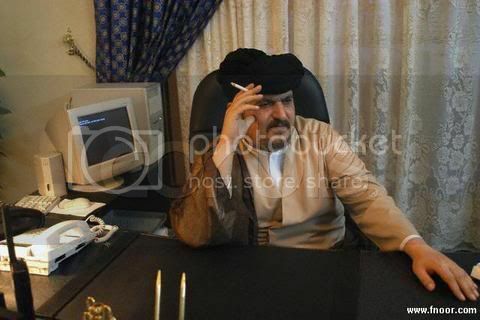 Look at what one of the biggest scholars of the Shee´aa says who this Mosqito is. 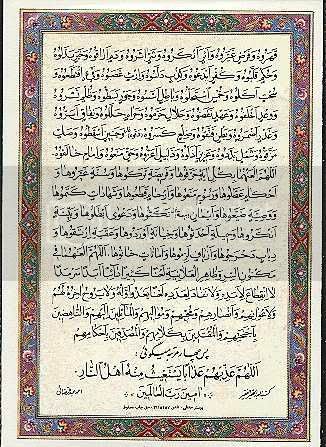 This is a scan from the Book called "Tafseerul Qummi – The Commentary [of the Quran] of Al Qummi", or "The Tafseer of Al Qummi"
Author: Abil Hasan Ali ibn Ebraaheem, Al Qummi. He claims that the Mosquito is ALI!!! Radi Allahu Anhu, and that which is bigger is the messenger Sallallahu alayhi wa sallam. I guess this Imaam, is going to buy himself some new clothing, with all the money that has been thrown into the tomb, either that or the people running the place. 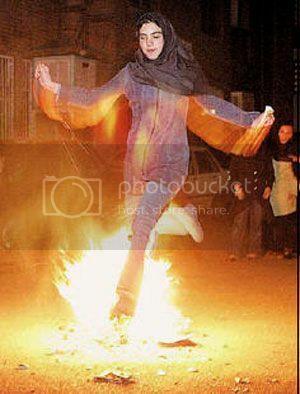 The Iranian Shee`aa are very much also influenced by the old fireworshipping rituals of the Magians. In Islam we have a "Testimony of Faith", called, "Shahaada". It is based on two entities, 1. There is no god besides Allah, 2. Muhammad is the messenger of Allah. 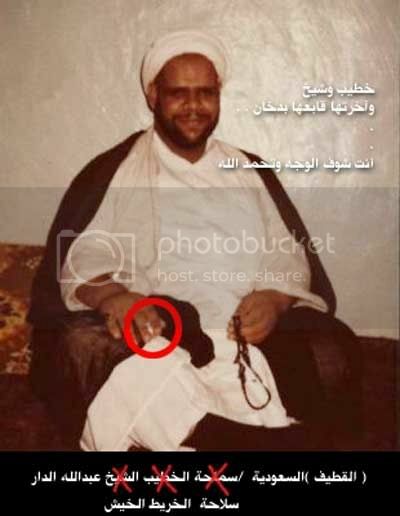 The shia of course added Ali radi Allahu anhu to the Shahaada. 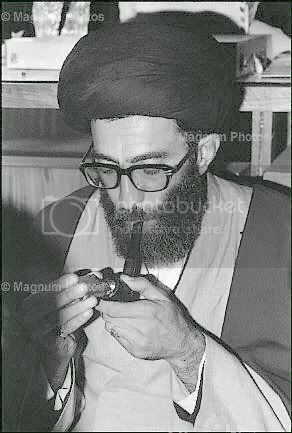 Some Mullah walking around showing everybody, the so called " Seal of eternity". 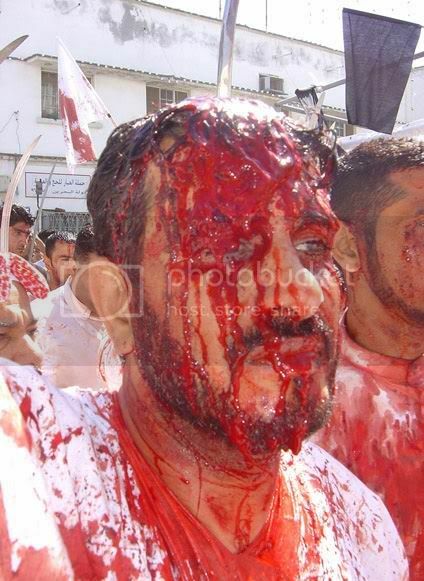 Look at how these Mullah start crying (fake). So you are telling me this is the seal of the naked hidden caveboy? Yeah, riiiiiggghhhtt. The Hidden Mahdi is hiding here. I present to you, the hidden naked cave boy´s hideout. Oh, I forgot to mention, it´s so hidden, that everybody goes down there and prays to him. He is still a bit shy. 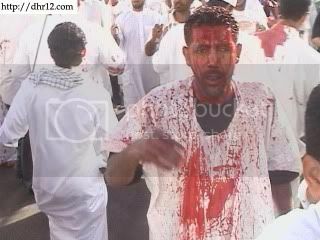 I would estimate he has lost at least a quart of blood, if not more. 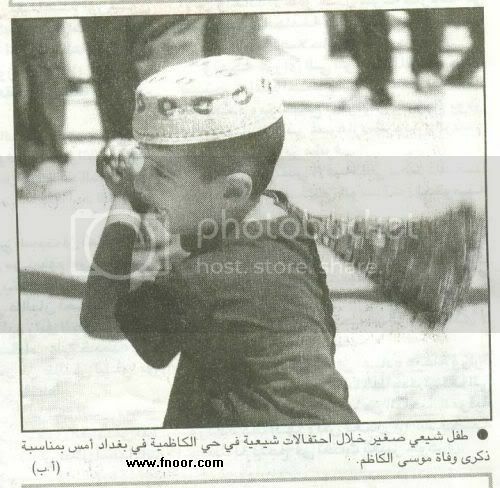 Well, no doubt, these kids wouldn´t be doing this, if the parents would practice Islaam correctly. Another Mullah crying, I personally think he deserves a small award for this one. I call it the "Fetus cry". Ring of fire... ring of fire. 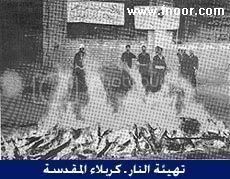 More Matam/Fireworshipping rituals. Let´s all get grilled. 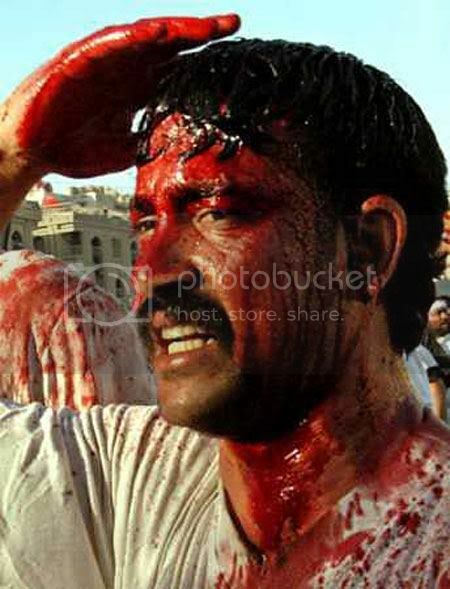 At the annual Ashoora rituals of the Shee´aa, they cut themselves up, beat each other, and dance in blood. See for yourself. 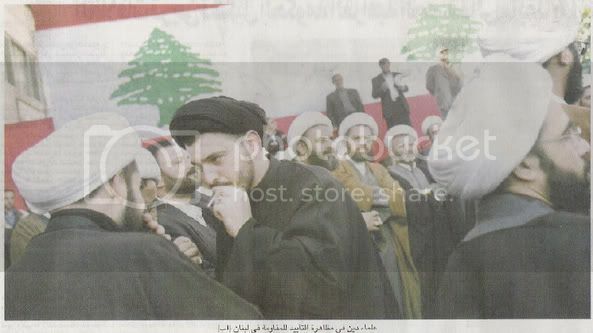 This one is a classic, look at this Mullah´s fake cries, as soon he noticed the camera pointing to him. Look at it a couple of times. Wanna be Imaam, talking nonsense. Listen to this Imaam, as he says that Ali radi allahu anhu is the "mercy for islam" upon earth. 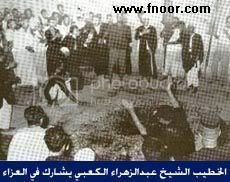 Yes, they are making sujud to a tomb. Your eyes are not deceiving you. 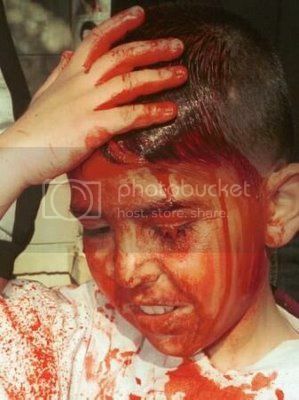 Ever seen the horror movie "Carrie"? 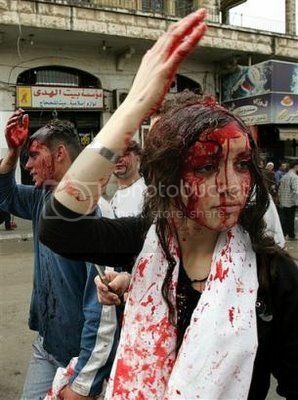 Ok, she can cut herself bloody and do Matam, but she can´t follow a single simple law, like wearing a Hijaab?. The law of David? What happened to Islam? 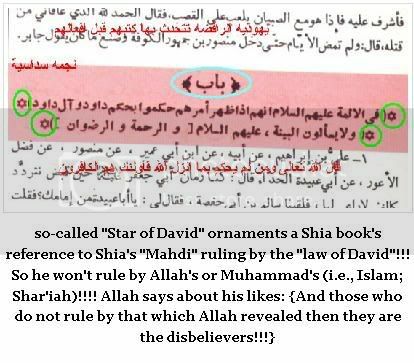 Look at the Shia scholars, they say when this Hidden Naked Cave boy "Imaam Zamaam" Mahdi comes, he will rule by the law of DAVID!!!! Not Islam. 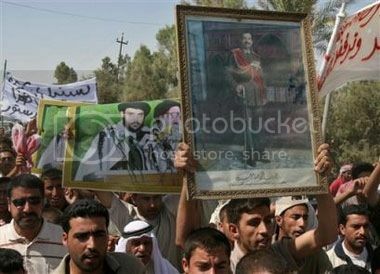 I thought the Shia hated Sadam Hussein, so why are they running through the streets holding up his picture??? Look at this fatwa, a woman wrote a shia scholar telling him how uncomfortable she feels with her father always touching her, kissing between her breast and mouth. This wanna be scholar tells her it´s ok, and that doing this is allowed, including "SUCKING HER TONGUE".. as long as he doesn´t do "anything else". 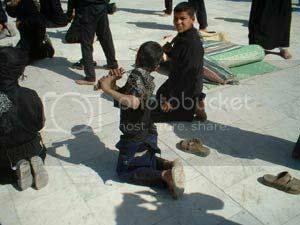 Images of Humans and Animals are forbidden in Islam, not to mention the Shirk they do, with saying "Ya Hussein" or "Ya ali". Did somebody ask for an angel? Oh sure, let´s make one. 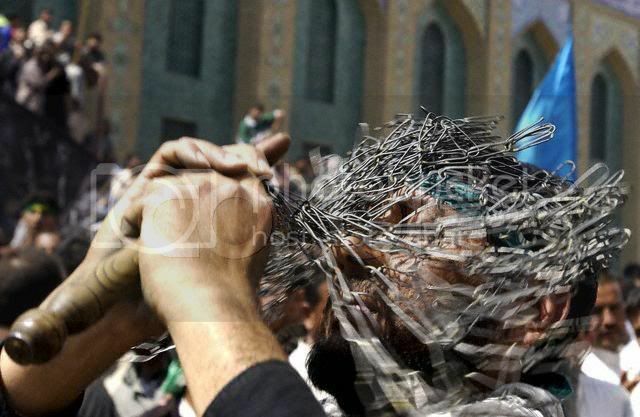 Shee´aa say Matam is not allowed? I beg to differ. Shee´aa will tell you Matam (Lamentation) is not allowed, however the scholars say it´s allowed and that it´s a good thing to do. 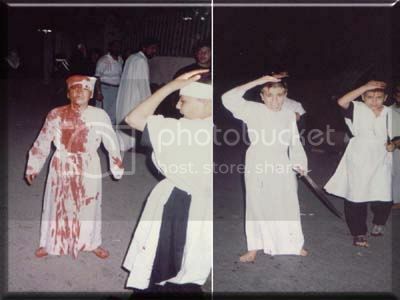 This is another video of Matam, "self mutilation" and Lamentation, Shee´aa do this because they betrayed Hussayn radi Allahu anhu, and caused him to get slaughtered. 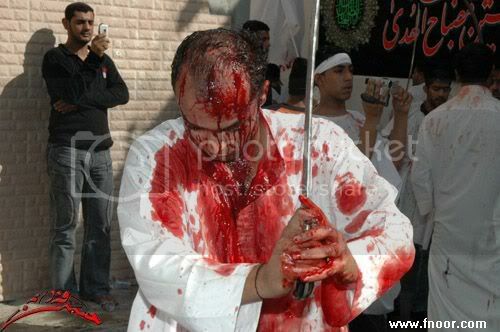 So they like to slaughter themselves now, yearly on "Ashoora". Oh the love for the dead, let´s prostrate to them. Ayatul loco Khamenei, the current Supreme Leader of Iran, kissing, hugging and PROSTRATING to a tomb. 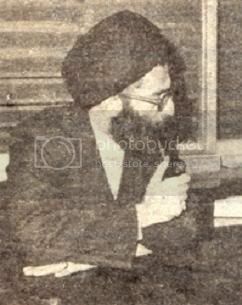 I really don´t know who it is, it looks like Khomeni´s. Smoking Imaams say it´s forbidden to Smoke. While in Islaam it is prohibited to smoke and even the Shee´aa scholars admit this(well atleast some), they are having a hard time sticking to the rules. I wonder if he already has cancer, he sure looks like it. 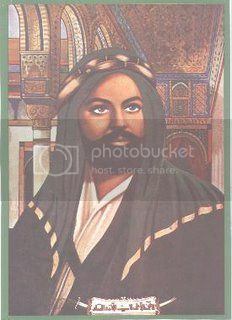 This is the grandson of Ayatul Loco Khomeni.